OK. So I’ve said a few times before that The Single Gourmet Traveller is not a great baker and it is in fact very rare for me to bake a cake these days, now that my kids are well and truly grown up and I’m no longer trying to piece together cakes in the shape of trains, castles and animals or whatever it was they wanted when very small for their birthdays. 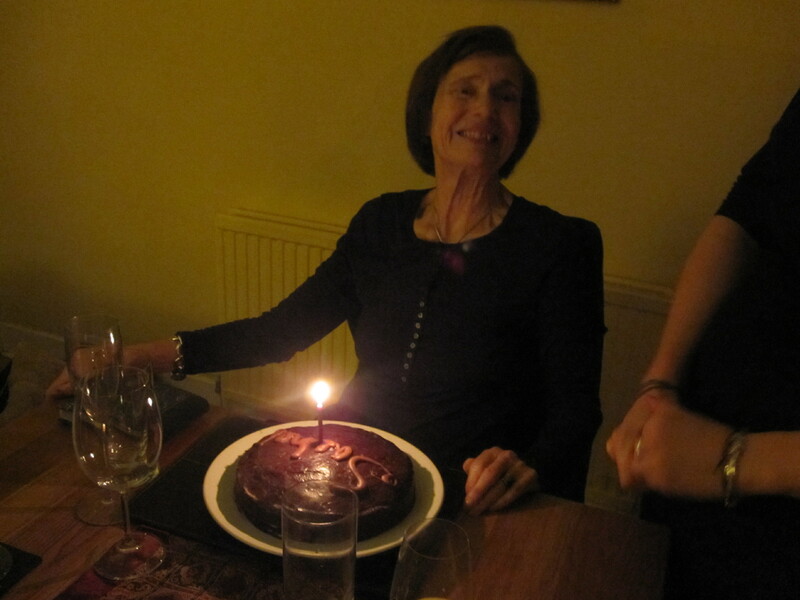 But today was my mother’s birthday (no I won’t risk her wrath by telling you how many years) and we had a family meal to celebrate, so a cake seemed in order. And eschewing the usual Torta Caprese family standby, and inspired no small amount by The Great British Bake Off, which has just reached its Finals climax on BBC TV, I decided to pull out all stops and make a Sachertorte. 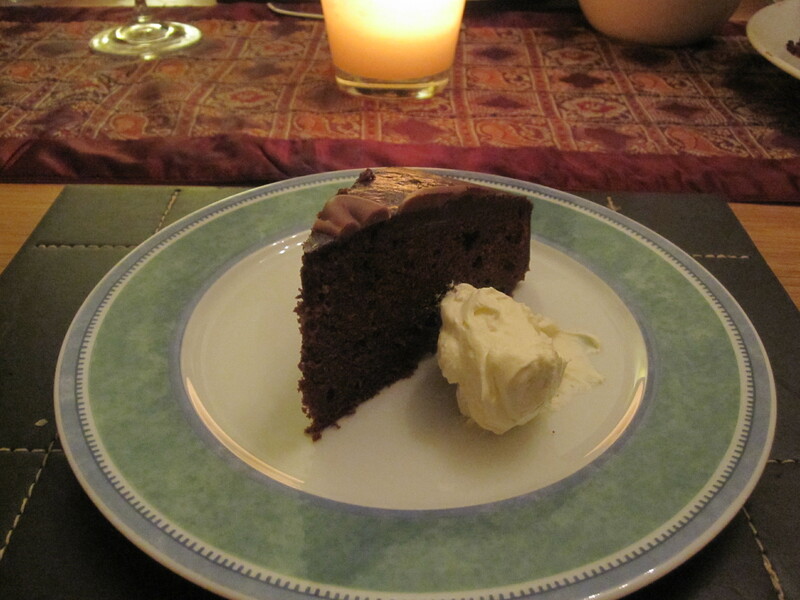 I’m pretty sure I’ve made Sachertorte before – though many years ago – and decided I’d most probably used the recipe in one of my favourite cake books, Barbara Maher’s Cakes, which has been sitting on my cookbook shelves since it was first published in 1982. Her recipe comes from a woman who attended classes run by Anna Sacher and dates back to the 1880s. However, in GBBO mode, I thought I should look at Mary Berry’s recipe and ended up sitting through a YouTube film of her making it on the programme with Paul Hollywood acting as sous chef. So I printed out Mary’s recipe … but then thought, I really should look at Delia’s. I found one in her classic Cakes book but a slightly different, updated, version online. Oh what decisions to be made. With huge amounts of eggs and chocolate to hand, I began with Mary. I cracked the eggs, weighed out the sugar, put chocolate in a bowl over simmering water … and then thought, but perhaps I should use Delia’s as hers is more like Barbara Maher’s, the most significant difference being not using ground almonds as Mary does in place of flour. I know this sounds mad, but there I was spooning out melting chocolate and egg yolks to divert onto Delia’s recipe. I think my lack of confidence in the baking department is becoming clear … but now set on Delia’s route I wavered no more. 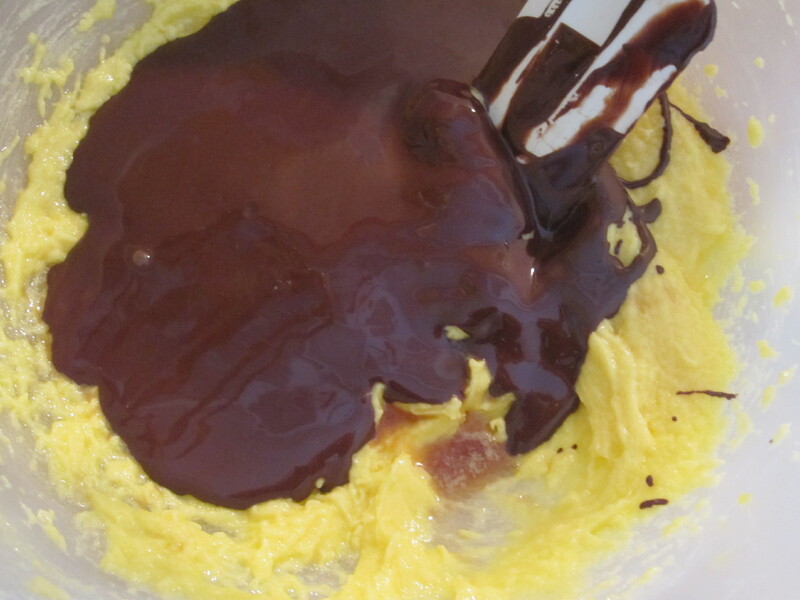 175g of dark chocolate was melted in a bowl over simmering water; 110g caster sugar was beaten with 110g butter till pale and fluffy, then 4 large egg yolks were individually added and whisked in. 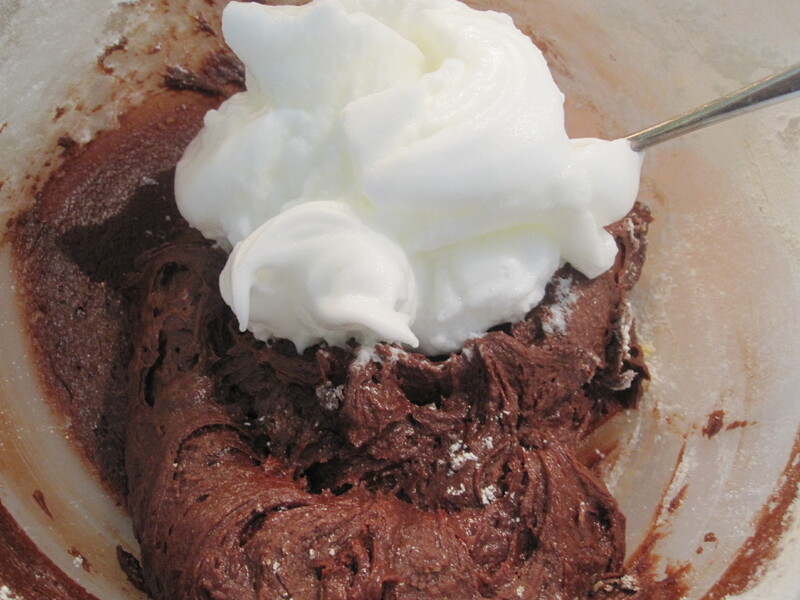 Next came the melted chocolate and 1/4 teaspoon vanilla extract. 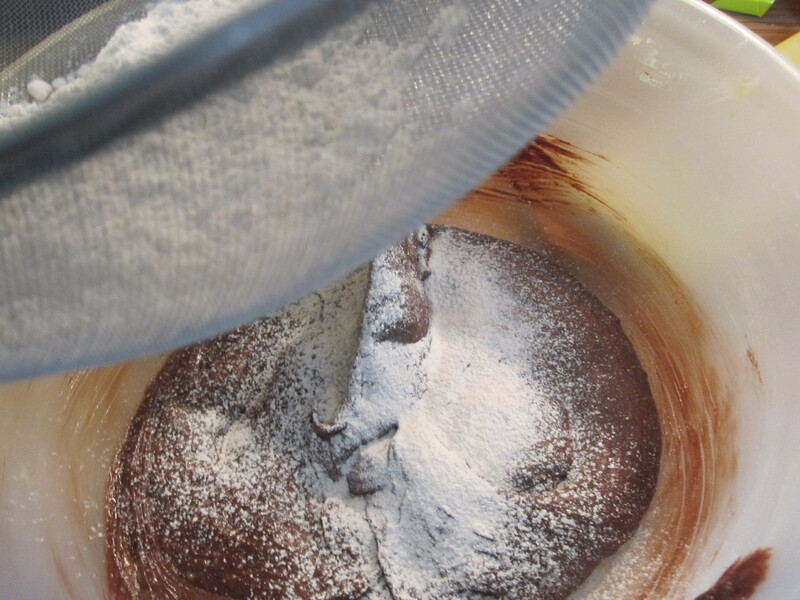 110g plain flour and 1/2 teaspoon baking powder was sifted into the mixture and carefully folded in. The mixture was quite thick now, but there was egg white to come. 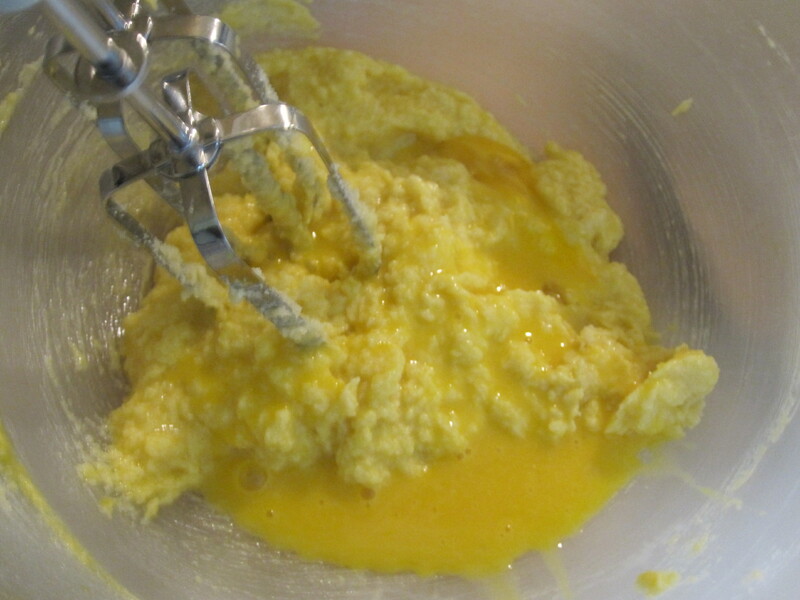 The whites of 5 large eggs were whisked to the stiff-peak stage and very carefully folded in a bit at a time. 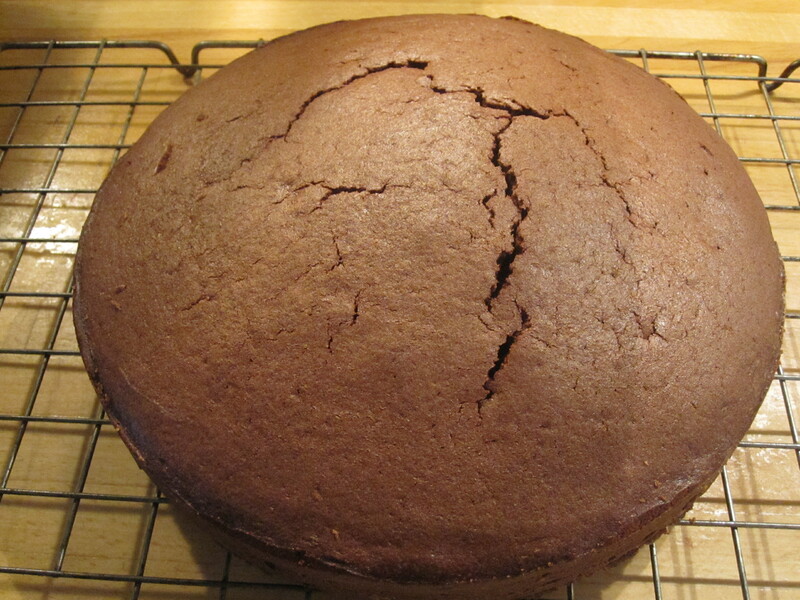 The mixture was transferred to a 20cm springform cake tin, greased and the base lined with baking parchment. 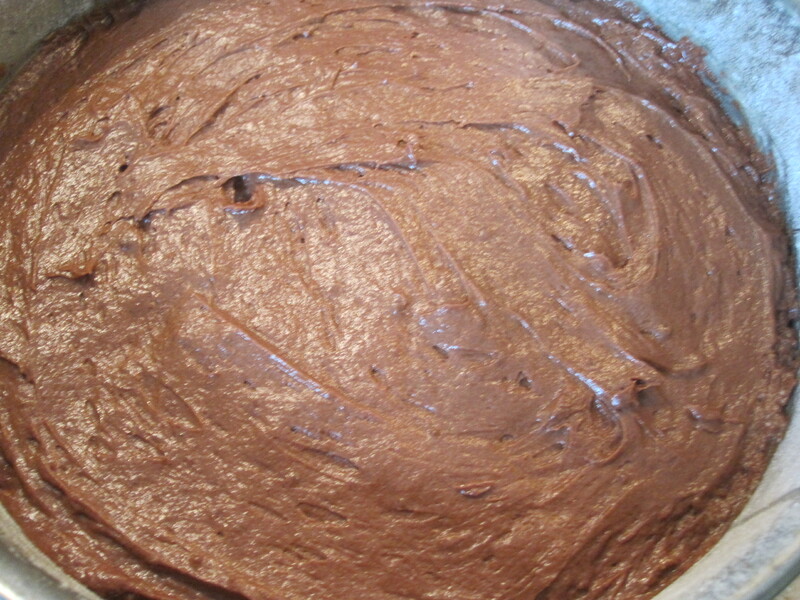 Then it was put into a 150C oven for an hour … well actually, I checked after 50 minutes and my cake was done. Leave in the tin for 10 minutes and then gently remove from the tin and cool on a cake rack. My cake had a crack in the top. That wouldn’t have gone down well on GBBO. I researched this and found out that either my tin was too small (it wasn’t), there was too much raising agent (maybe my 1/2 teaspoon had been over-enthusiastically generous) or the oven was too high (most likely as I’d originally set it to Mary’s recipe’s temperature and had to lower it for Delia’s). Well, whatever, it was a cake. And is smelled fabulous. As it should do with all that chocolate in it. 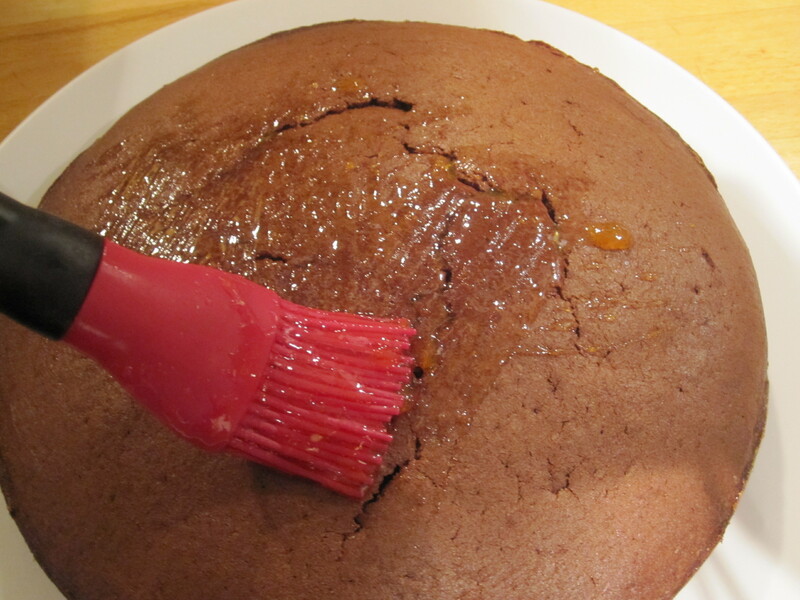 When completely cold, melt 2 teaspoon apricot jam and then brush all over the cake. 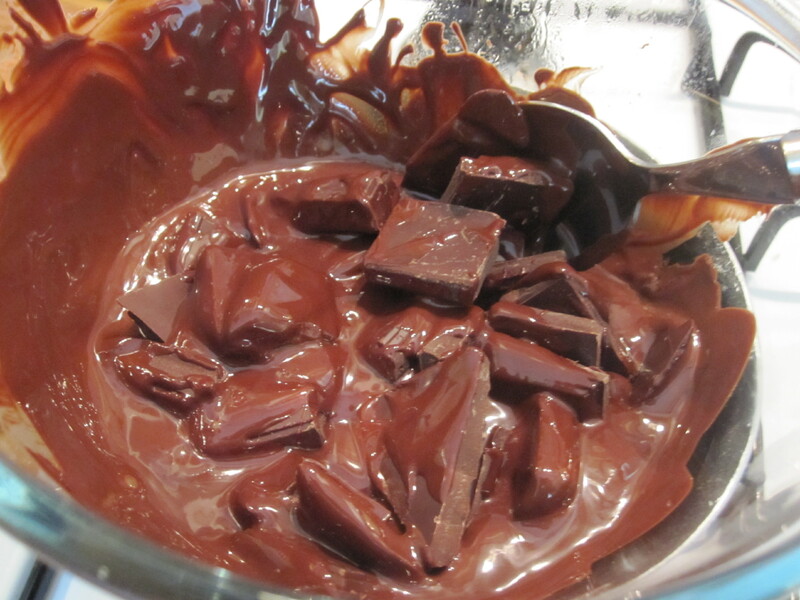 Now melt 175g dark chocolate with 150ml double cream in a bowl over simmering water. Ummm. This is where it went slightly wrong again. It was all doing fine and suddenly – in a blink of an eye as they say – my melting chocolate and cream suddenly started to separate. I took it off the heat but it never truly recovered so the final icing wasn’t as smooth as it should be and there were patches of white fat. I still however followed instructions and added 2 teaspoons glycerine and then poured the icing over the cake and used a palette knife to smooth round the edges. This was not a good moment to disturb me in the kitchen as the whole thing almost ended in disaster and there seemed to be chocolate icing everywhere. Still, I panicked not … well, not a lot … and eventually it looked, well, OK. Just as long as Mary Berry, Delia Smith or Paul Hollywood weren’t coming to dinner. 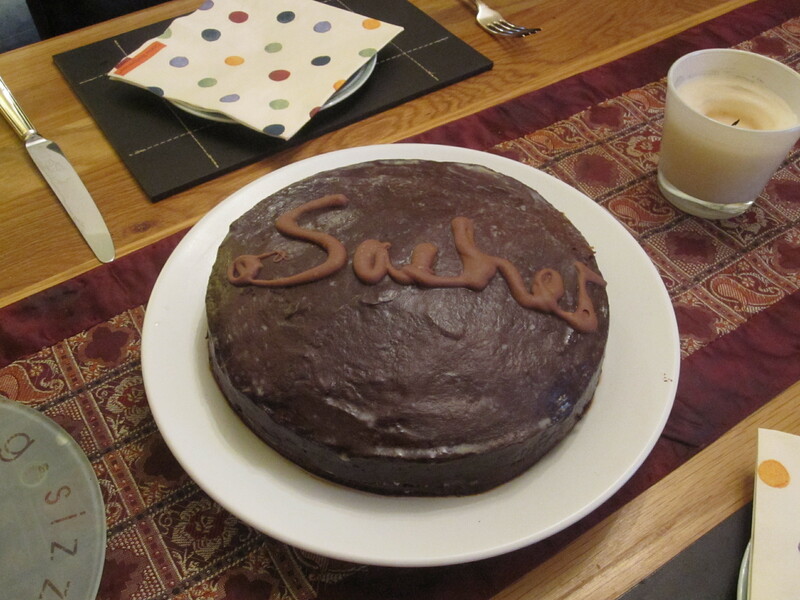 The ‘Sacher’ name, always traditionally piped on to a Sachertorte was done in a mix of mostly melted white chocolate with a small amount of dark, put into a plastic freezer bag and a tiny corner snipped off. Fortunately, since it had been baked to celebrate a birthday I could legitimately turn the lights right down so no one could inspect its imperfections. My mother was delighted, as were the rest of the family. And in the end, it tasted really good. Deliciously chocolate-ty and exceedingly more-ish. I think I shall definitely have to have a re-run sometime and try to perfect the art of Sachertorte making … though I was also trying to convince my family I should head to Vienna soon to try out the real thing. After all, what could be better research than that! Oh you are soooo brave Mme Singlegourmetandtraveller! baking and cake-making are torture but you passed with flying colours, well done! Thank you! But only for when I have company … if I start baking too much on my own I’ll get far too big far too quickly!! I had the original Sacher torte at the Sacher hotel in Vienna, and strangely it wasn’t very memorable. Dry and just kinda EH… Am sure yours is better!! 🙂 Thanks for reading my post!! Thank you! That’s very nice of you to say. I hope to try the original one day though … it’s nice to know what you’re aiming for, even if you want to improve it! I enjoyed your last post.